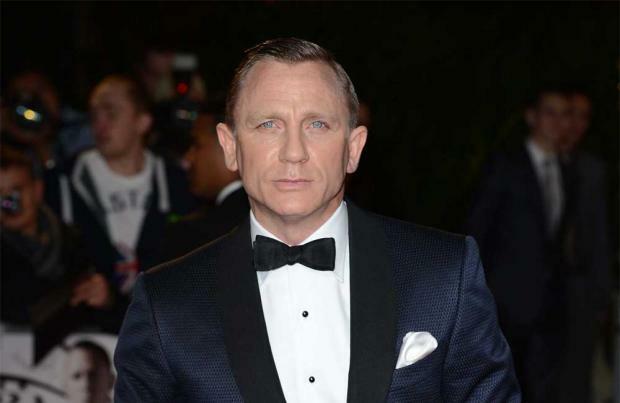 Daniel Craig will play a Stormtrooper in 'Star Wars: Episode VII - The Force Awakens'. The 'Skyfall' actor's mystery role in the highly-anticipated blockbuster was accidentally leaked by fellow actor Simon Pegg, who let the secret slip before realising his mistake. Speaking to The Sun newspaper at the premiere of 'Man Up' in London, he said: "I wasn't a Stormtrooper. Daniel Craig, he was a Stormtrooper." Realising his mistake, he quickly admitted: "I shouldn't have said that." While Simon has long been a rumoured star in the movie, Daniel's small cameo part was revealed last year, despite the fact the identity of his character will remain a mystery in the film as his face will be concealed. An insider said: "Daniel asked for some sort of secret cameo role - and was happy to have his name left off the posters. "Fans will love trying to work out which covered up character is him." Meanwhile, the 47-year-old hunk recently returned to finish filming on his fourth movie as James Bond, 'Spectre', after he was flown to Manhattan to have emergency knee surgery, having injured himself shooting scenes for the film. A source said: "Craig has been struggling with his knee since he first hurt it in the Alps in January. "His body has taken a hell of a battering while filming Bond, because he really throws himself wholeheartedly into a very demanding part."